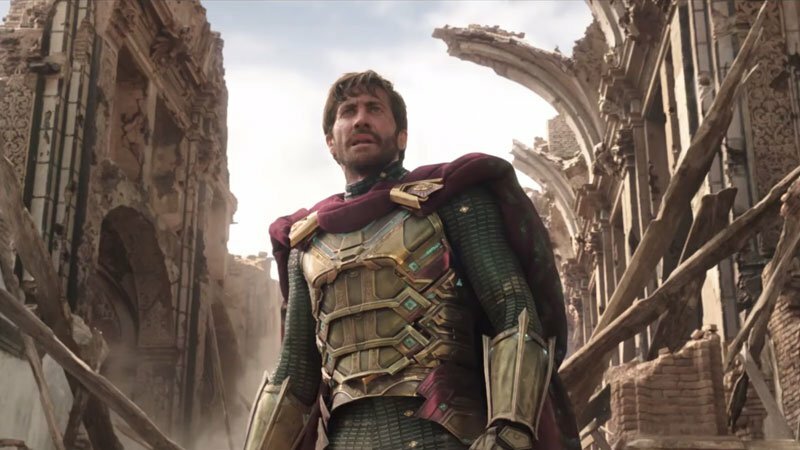 Now that the first trailer for Spider-Man: Far From Home is officially out in the wild, it’s given us our first real look at Jake Gyllenhaal as the villain known as Mysterio. 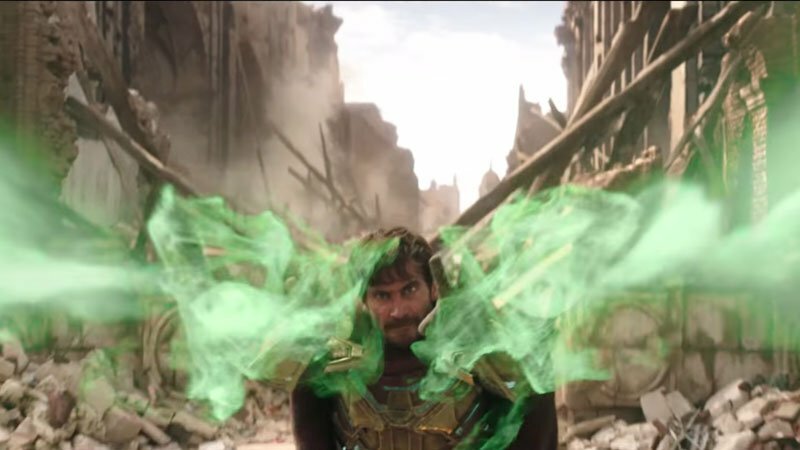 In the comics, the most popular version of Mysterio was a special effects artist named Quentin Beck, who used his bag of tricks to fool people (including Spider-Man) into thinking he has some kind of magical powers. 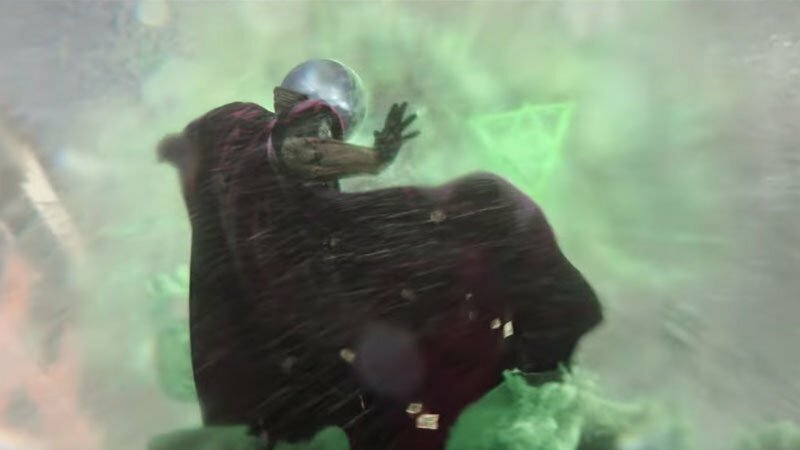 Clad in his purple cape and unique super-suit, Mysterio then unleashes to green blasts from his hands at the unnamed foe. While it looks to be an impressive display of powers, this could be Mysterio relying on his usual bag of tricks to appear to be something his not — which, again, is his kind of his specialty. 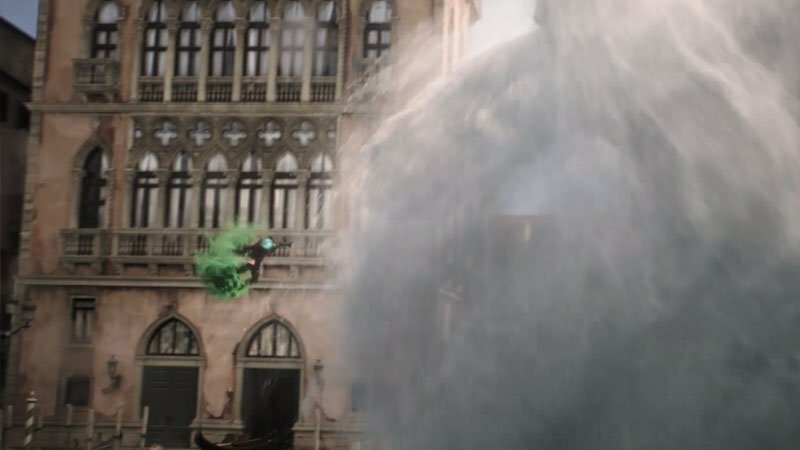 Mysterio’s “powers” don’t stop with a simple lightshow, as he’s seen floating around on a cloud of green smoke while he faces off against the unnamed bad guy (again, presumably Hydro-Man). It’s also the first time we see Mysterio sporting his infamous fishbowl-like helmet. Finally, the most revealing image shows Mysterio up close facing off against (presumably) Hydro-Man, but as he lets loose another one of his green beams of light, we see some symbols that look quite a bit like what happens when Doctor Strange uses the Eye of Agamotto. Could this mean that Mysterio is patterning his special effects illusions after existing beings within the MCU? That seems like the most likely scenario. Unless he’s figured out a way to harness the mystic arts, or managed to unleash the power of an Infinity Stone despite being a mortal human. Spider-Man: Far From Home cast members include Holland’s return as your friendly neighborhood Spider-Man, plus Zendaya as “MJ,” and Marisa Tomei as Aunt May. Gyllenhaal will take on the mantle of Mysterio while Michael Keaton is set to return as Adrian Toomes/The Vulture. New additions include comedian J.B. Smoove and Numan Acar (Aladdin) as Dimitri. We also know for sure that Samuel L. Jackson (Captain Marvel) is onboard as Nick Fury, which means that the rumor that Cobie Smulders has also signed on to join the Spidey sequel as Maria Hill is likely true as well. The film is directed by Jon Watts and written by Chris McKenna and Erik Sommers, all returning from Spider-Man: Homecoming. 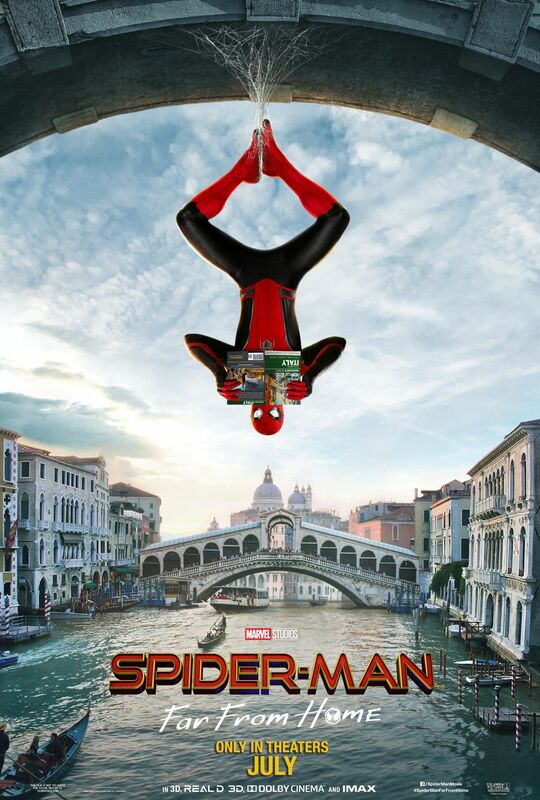 Spider-Man: Far From Home will hit theaters on July 5, 2019.